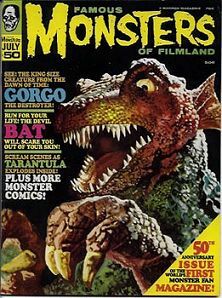 July 1968 issue of FM with Gorgo on the cover. Tenth Anniversary issue(despite what the cover says) in Mint condition. This was the 50th issue of the mag, but only the 10th year of publication. The "50th Anniversary Issue" on the cover is just a tad misleading. Website design and hosting by Sohodojo Business Services. Item 151 of 466 items displayed in viewer. 0 items in cart.